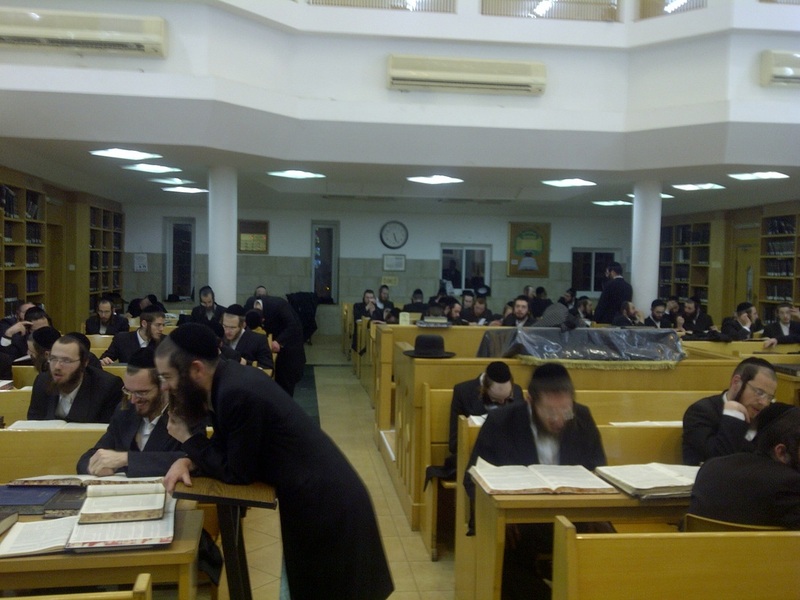 The recent attention by the American Torah community to the plight of avreichim in Eretz Yisroel has been most heartening. Their recognition that the Torah that is learned here with ameilus and mesirus nefesh by the thousands who make hasmadah b'torah their life's calling, is a most heartening phenomenon. I administer a network of kollelim in Eretz Yisroel. Here, the gamut of hundreds of yungeleit from all over toil from morning till night in the love of Torah. 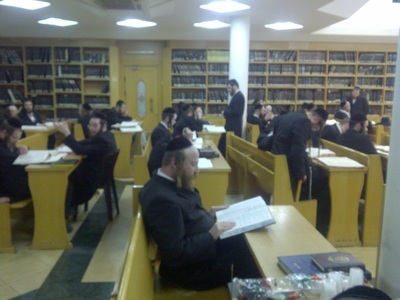 Ranging from Gemara B'iyun to Semichah and Hora'ah tracks, they spends their days and nights growing in Torah and avodas Hashem. 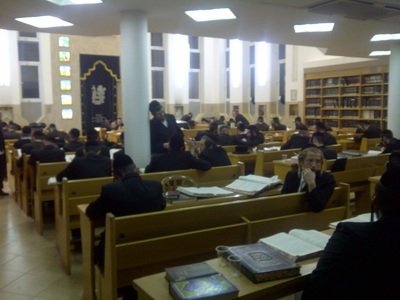 Understandably, the weight of supporting this empire of Torah, breeding so many talmidei chachamim, is immense. 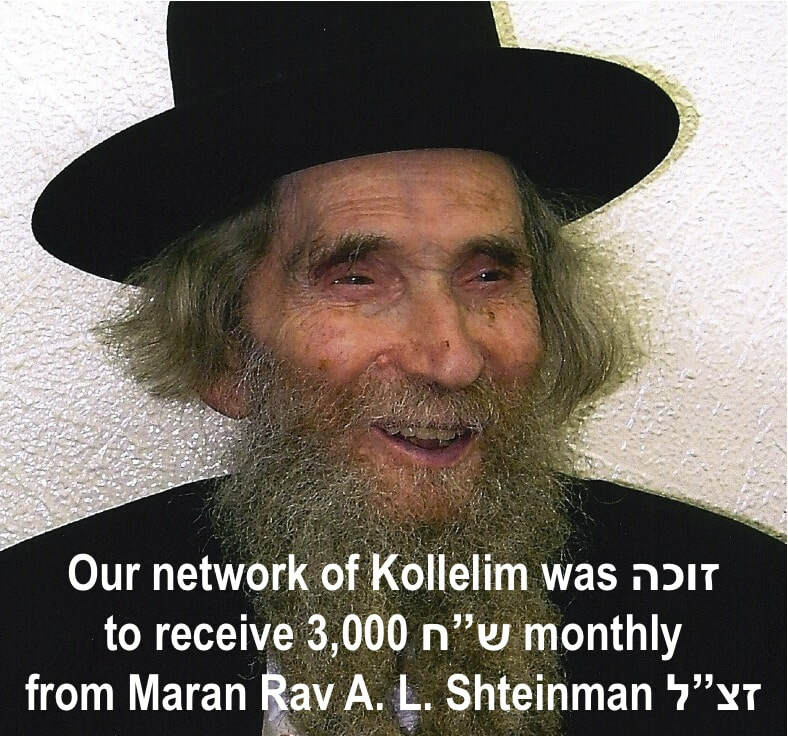 So much so, that the Gadol Hador, Harav HaGaon, Rav Aryeh Leib Shteinman zatzal, sent us a personal check of thousands of shekalim each month, and Maran Rav Chaim Kanienvsky, shlit"a, takes a personal interest in the welfare of our kollelim on a constant basis. I personally do not take one dollar from the Kollel budget, and every penny goes to support these kollel avreichim and their families. Take part in the tremendous zechus of supporting Torah and hundreds of its scholars, and join the Gedolei Hador in doing so. 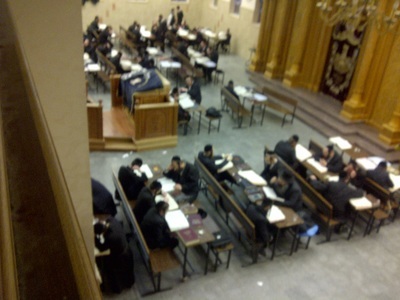 Have a hand in building Torah during these difficult times. In that zechus, may you and your family merit the greatest blessings amid nachas and good health. Join the Torah empire!